The Filipino palate is evolving becoming more open to the adventure of fusion cuisines. No wonder we are seeing dozens of restaurants and fast-food chains entering the country, put up by entrepreneurs with an eye for opportunity and a taste for the new, knowing that they have a good product in their hands. Enter Quiznos… Quiznos is a sandwich restaurant chain based in Denver, Colorado, USA with some 4,500 sandwich shops all over the world. Established in 1981, it is the second largest sandwich brand in North America. It offers a variety of tasty, toasted sandwiches on the go with a wide selection of fillings to suit every conceivable taste! This is good news for Manila’s mobile set who are forever on the go and have room only for a quick bite and gulp. With Quiznos, the busy workaholic can now rush from appointment to appointment, with a convenient meal that is sure to please the palate and fill the tummy. Here's a quick guide to Quiznos’ delicious sandwiches. There’s the Classic line, which features the Classic Italian, Traditional, Chicken Ranch & Swiss, Honey Bacon Club and Classic Sub. The Signature line that offers Chicken Carbonara, BBQ Chicken Melt, Pulled Pork with BBQ Sauce, Honey Mustard Chicken and Meatballs in Marinara Sauce, and the Savory Steak line offering Peppercorn Steak, Double Cheese Cheesesteak, Zesty Grille Steak, French Dip, and Garlic Steak. For customers with petite appetites, Quiznos has the Sub Sliders—Tuna Melt, Ham & Swiss Melt, Corned Beef, BBQ Pork, and Chicken Bacon Ranch; and the Flat Breads that come in the Zesty Grille Steak, Tuna Melt, Little Italy, Adobo Pork, and Chicken Bacon Ranch. These sandwiches may be small in size but are big on taste and filling. And it is not just the fillings. 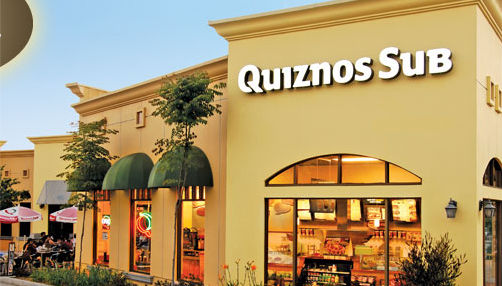 Quiznos offers a wide selection of breads—Artisan Wheat, Italian White, and Rosemary Parmesan. And depending on how hungry you are, there’s a selection of sizes to choose from. From the 5-inch baby-size, to the 8-inch safe-size, to the 11-inch sumo-size sandwiches, there’s one to suit your appetite. But whatever the size and filling, you get a sandwich that is made just for you. Whether untoasted or toasted, you get a sandwich that is unique to Quiznos. Despite being an international brand, Quiznos has a pulse on local tastes, adjusting some of its fare to suit the Filipino palate. It has paid homage to the favorite Filipino dish, the Adobo, and tweaked it to a handy size to make it more accessible to adobo-loving Pinoys. Quiznos not only offers tasty, filling sandwiches. As a company, it offers business opportunities for the forward-thinking entrepreneur who knows a good deal when he sees one. Quiznos is launching a franchising program to share its recipe for success with like-minded business people who wish to help spread Quiznos’ sandwich culture to a wider market. The company has designed a franchise process that is easy and hassle-free. The Quiznos Philippines franchise team is committed to helping future owners at every step of the way, from site selection to hiring and training of staff, and the all-important resource and finance management. The franchise program also offers extensive operational training, which does not stop even after the store is up and running, and assistance and advice whenever needed.